The 6 C’s of positive youth development, namely, Competence, Character, Caring, Connection, Confidence and Contribution, is an approach based on activities where youth learn and develop critical skills and attributes to help them reach their full potential as adults. 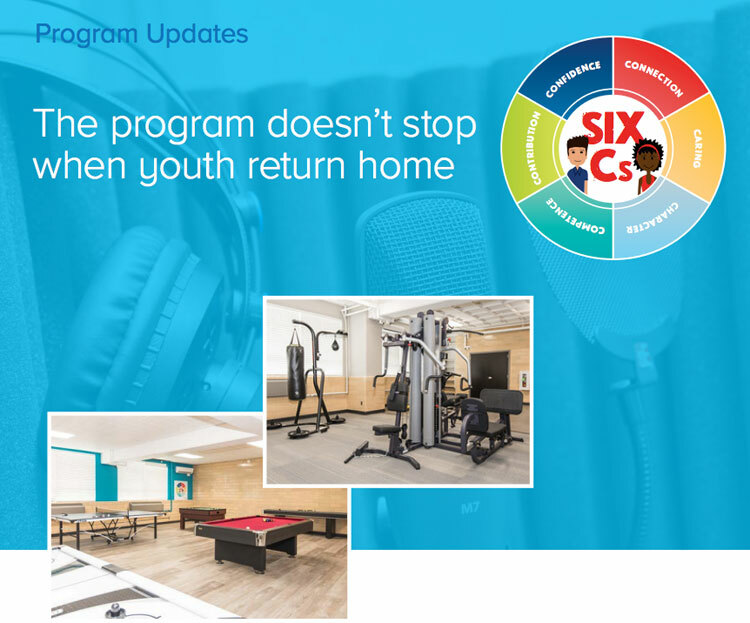 This new approach is bolstered by having the resources and space to actually conduct the program activities – that’s where the new Sister Mary Ann Eultgen Youth Development Center becomes a critical component in making the 6 C’s program successful. The Center contains a teaching kitchen, fitness room, game room, electronically enabled class room, a sound studio, and a large multi-purpose room – all capable of facilitating 6 C’s development in the youth we serve. With funding from the Missouri Foundation for Health, in 2016 St. Vincent launched the LifeRECOVER Substance Abuse Treatment program to serve youth who are identified as substance users. 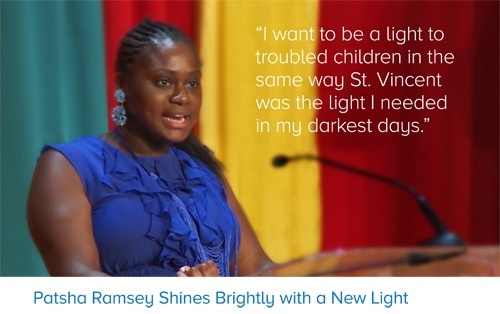 In the first two years of the program, St. Vincent provided counseling on substance abuse issues to 175 youth. LifeRECOVER serves residential and non-resident youth, and even provides transportation to allow non-resident youth to participate in the program. The program doesn’t stop when youth return home as the program provides aftercare followup services and works to include parents as active program participants. Through their generous two-year grant, the Missouri Foundation for Health helped establish this program, making our substance abuse therapy free to families and accessible to many youth and families who otherwise couldn’t access these critical services. The support of Guardians of Hope members has been vital to ensuring that we never have to turn away a youth or family in need. 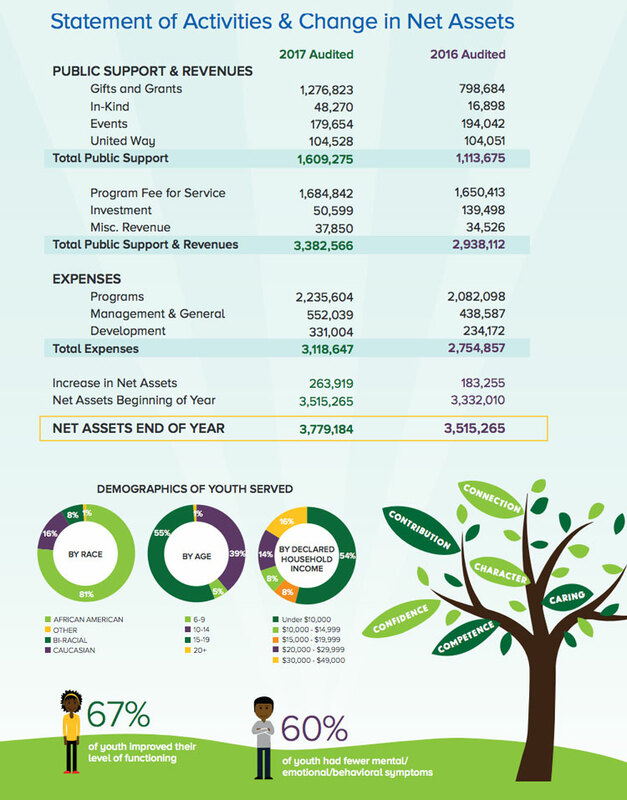 Last year, St. Vincent served 572 youth through our residential, in-home, and substance abuse treatment programs. Many of our youth have experienced significant life challenges that include trauma, violence, poverty, drug abuse, neglect, and even homelessness. As you can imagine, there are many challenges that must be overcome to help our youth. While our work isn’t easy or guaranteed, there is an inexpressible joy in helping one of our youth chart their path for a brighter future. Throughout our history, St. Vincent has provided services free of charge. But as governmental and fee-for-service funds have been reduced, we have relied on the generosity of our donors to maintain this tradition. The generous support of Guardians of Hope members has been vital to ensuring that our services remain free and that we never have to turn away a youth or family in need. As a member of Guardians of Hope, you directly impact more than 500 youth who couldn’t afford the residential and counseling services that help them work through difficult life experiences. St. Vincent is truly grateful to all our donors and we want to encourage more donors to consider becoming Guardians of Hope members. Through your support, you are giving our youth the hope to reconnect with their families, the hope for new skills and abilities, and ultimately, the ability to believe in themselves! If you would like to support St. Vincent as a Guardian of Hope member, please CLICK HERE or call Mike Meyer at (314) 261-6011 ext. 124.